Would you like your pole cutting to size? This is a good strong pole at a great price. 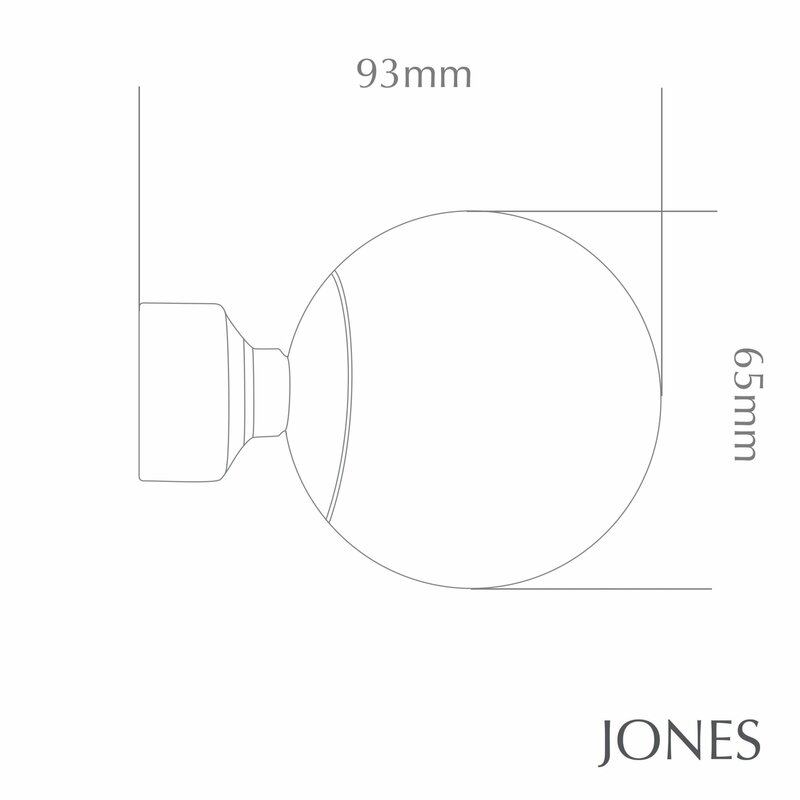 The Jones 28mm Cosmos Metal Curtain Pole comes complete with ball finials, Jones designed brackets and 10 rings per metre as standard. 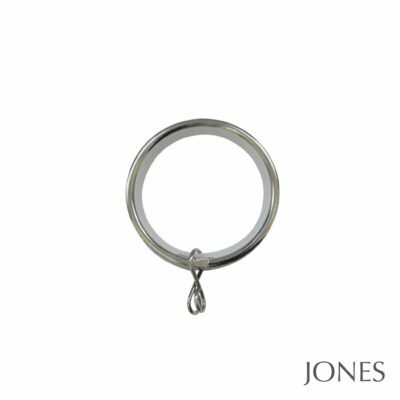 Additional rings can be purchased separately. 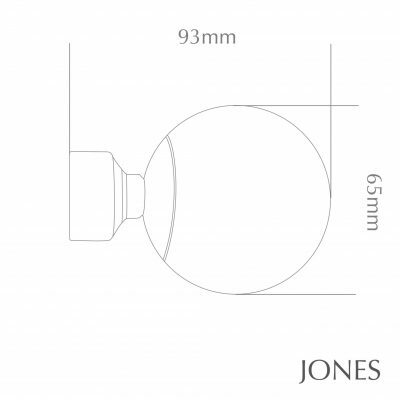 Poles 240cm and over are supplied in two pieces with a centre bracket. 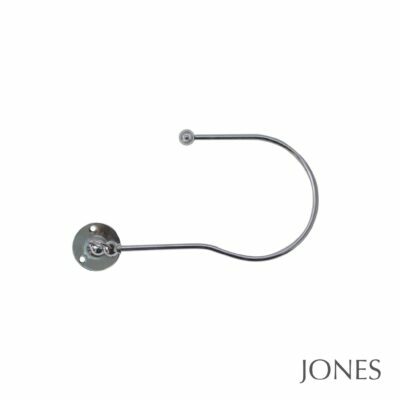 Barrel brackets can also be purchased separately if you prefer this style of bracket please see accessories below. Please note they do need to be purchased in addition to the pole kit. This pole can be cut to your exact size for a small charge of £4.50. Please note there is an extra day’s leadtime for any cut to size products. Weight suitability: Light to medium weight. Bracket Text: Jones designed brackets. 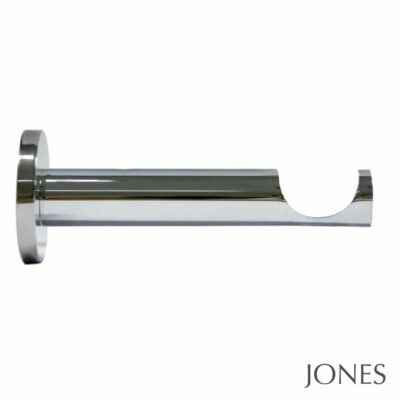 Barrel style brackets are available to order separately if you prefer these. Please see accessories below. Ring Text: 10 rings per metre are supplied as standard. 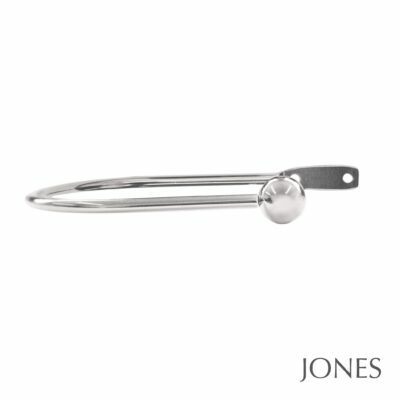 Additional rings are available to purchase separately. Please see accessories below. Type of ring: Round. Lined for quiet operation.